Review Summary: If Genesis were Phil Collins' wife, Brand X is his mistress. The famous jazz trumpeter Miles Davis was the forerunner of jazz fusion in the late 60s, by incorporating an electric piano and later an electric guitar in its alignment. Jazz fusion was thus born, and it is still in excellent health today, thanks to the genre’s big names in the 70s. Al Di Meola and Chick Corea (Return to Forever), John McLaughlin (Mahavishnu Orchestra) and Jean-Luc Ponty have really paved the way for that hybrid genre, but there is also a British band that stood out, especially because of the quality of their compositions: Brand X. At first, the group had only intended to practice together for the sake of practicing, performing jams based on instrumental jazz rock improvisations with complex time signatures. Noting that this great flow of talent fostered a good chemistry, things turned into a side project, and resulted in an original band, unique and prolific, producing several albums and completing several tours. The music of Brand X is midway between an inspired prog rock and electric jazz, and they get the best of both camps. The talent of each was placed at the service of the talent of others. This is the exact definition of teamwork. On top of that, it’s obvious they had fun playing together. It's also important to mention that all their albums were recorded in a single take. Following their first two successful albums Unorthodox Behaviour and Moroccan Roll, the line-up continually shifted, due to the members’ respective commitments. For example, drummer Phil Collins was needed in Genesis, who were rallying around the recording of their first post-Gabriel album A Trick of the Tail. He would return from time to time to lend a hand to Brand X sporadically. Collins once said humorously that Genesis was his wife, and Brand X his mistress, before which he could show off and expose at will. He liked the freedom of performance and improvisation in a so-called 'controlled free-form', compared to the rigidities, constraints, obligation set to the rigor imposed by Genesis. While most jazz rock acts focus on the jazz side, Brand X are rooted more in rock, also showing a huge penchant for funk, as seen in the title track and Born Ugly, where there is an inspired Rhodes line. Collins and guitarist John Goodsall (Atomic Rooster, Bill Bruford) are regulars to progressive rock. The keyboardist Rod Lumley (David Bowie) is a versatile session musician, and fretless bass expert Percy Jones (Soft Machine) is the most jazz oriented musician. His high calibre will make some fans say that Brand X IS Percy Jones. Inspired by Al Di Meola and John McLaughlin, all the riffs, arrangements and frenetic solos of Goodsall lend themselves well to the rhythm section that sets the tone in each song. He also excels in the atmospheric passages, and wherever he appears to support. For Euthanasia Waltz for example, Goodsall uses a classical guitar. It sounds laid back, cool, but mostly technically irresistible. Rod Lumley performs a subtle and skilful keyboard solo in the song, which is reminiscent to some Al Di Meola in Elegant Gypsy era. Lumley alternates between atmospheric synthesizer, obscure sounds passages and electric piano of high quality that complement the brilliant performances of Goodsall. The steadfast, the energetic rhythm section is the driving force of Brand X. Powerful, inspiring and impressive as that provided by Billy Cobham and Rick Laird from Mahavishnu Orchestra. And that's saying something. Those who thought that Phil Collins has got the best of himself in Genesis, just listen to the first song Nuclear Burn, and be amazed. The album is a journey of pleasant surprises. Collins plays with the verve and the power of Billy Cobham, and it's obvious that he listened to his solo album Spectrum. Collins has a strong colleague in Percy Jones, who is one of the best bassists of all time. From his fat liquid sound, his rollercoaster of sliding notes, harmonics, pops, muted percussive sounds, and his ability to dance at the very edge of dissonance, his unconventional interpretations of what a bass line could be all add up to a style you will see with no other. As for the veterans Jaco Pastorius, Stanley Clark (Chick Corea) and the modern virtuoso Victor Wooten (The Flecktones), their instruments find new textures seemingly at will. Like any progressive rock sub-genre, the jazz fusion is often overlooked because of his pomposity and adventurous predominates the more conventional and melodic structures. Even if Brand X flirt with some quirky instrumentals and 'controlled free-form', they could hardly be more melodic, and it contributes to its charm. Their music is still actual and timeless. If you do not like Brand X, you do not like jazz fusion. The best way to describe them would be to look at Return to Forever, Mahavishnu Orchestra and King Crimson (with Bruford), but with much more humour and irreverence. Brand X would be a model for a lot of other jazz-rockers to come. If during the 80's, the Dark Ages were almost fatal for progressive rock, jazz fusion has transcended time, and is still in very good health. 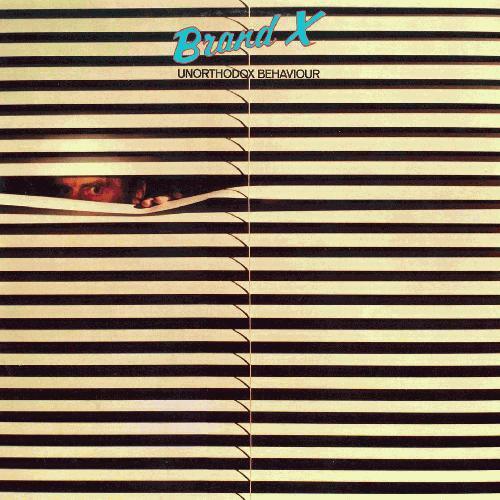 The music of Brand X is very influential in both the world of progressive rock and jazz fusion, increasing the interest of the listener even more. Don’t be surprised if every time you listen to their music, you discover new details you never perceived before. It's a part of the Brand X experiment. ProgJect, bringing you more... prog. Album is essential to all prog collection. As always, thanks for adding your magic touch, Nag, my loyal collaborator. Thanks Jethro, I also noticed you tend to use quotation marks for very normal phrases, (e.g. side project). Good stuff guys. This collaboration that you two have got going on rocks. Jethro is actually the brains behind this operation. I'm just correcting the writing. I use quotation marks especially when I'm not sure about the term I have chosen. That's cute indeed, but it reminds me that I have to bump the Progject rating up to a 5. @Zettel; Much appreciated, bro. Nice to see you around again. @Nag; Your contribution is never negligible. You manage to enhance the value of each and every Progject' reviews. They appear so professional...and without a trace of my sometimes broken English. I'm pretty lucky to have you as a partner, mate. I am honoured, but I am astounded how much you know about basically everything that is prog. Like you know, I grew up with the 70's, and progressive rock quickly became more than a musical genre to me; It's truly a passion, almost a religion or a way of life. edit: Most of the prog monsters of the 70's are still as good as they were 30 years ago, to my addicted ears. Only magical music can do that. This is a killer album. Stellar review as usual guys. Thanks a bunch Angel, buddy. I'm glad you like it so much. Album/band deserves much more attention on Sputnik. Damn right dude. If you like it, I'd suggest you to try both Mahavishnu Orchestra and Jean-Luc Ponty. He should have his plate full if he's been referencing my "prog compendium". Sup Angel, my brother in prog. I'm currently doing Harmonium' L'heptade under the ProgJect account, coming soon near you. Please tell all your friends! Jethro, I clicked on your link in the Phil Collins thread and I am now listening to this. This is amazing. That's pretty cool! Enjoy, dude.